to get it all done. I hope things go back to normal soon. I have a couple of projects going on at the moment, but nothing is finished yet. I am giving our guest bathroom a little remodel. I am half way done and I am just waiting on my husband to finish some ledge shelves he is making for me. My other project is a little more special that the guest bathroom. I am working on updating my son's room. and the baby they are expecting. Yes!!! Our first grandchild! We are finally going to be grandparents! LOL We are sooo very happy! I have been sewing new curtains for their room, making enough space to accommodate a crib, changing table, etc. and I am also getting ready to reupholster an old chair,which is very comfy but the fabric is a little worn out. 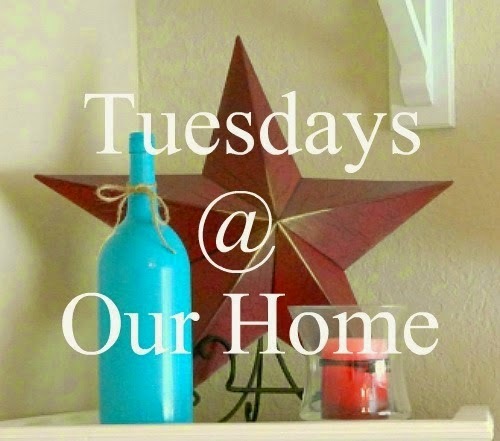 On another note, I noticed a few weeks ago that my Pinterest page is doing really well, so I decided to make a board that includes all the features of Tuesdays at Our Home. This board is dedicated to you all and it is my way to show my appreciation for all your support every week. Every link on that board is connected directly to your blogs, so all the credit will go to you and I will be updating it every week. Here is the link if you would like to preview it. And now, lets take a look at last week features. 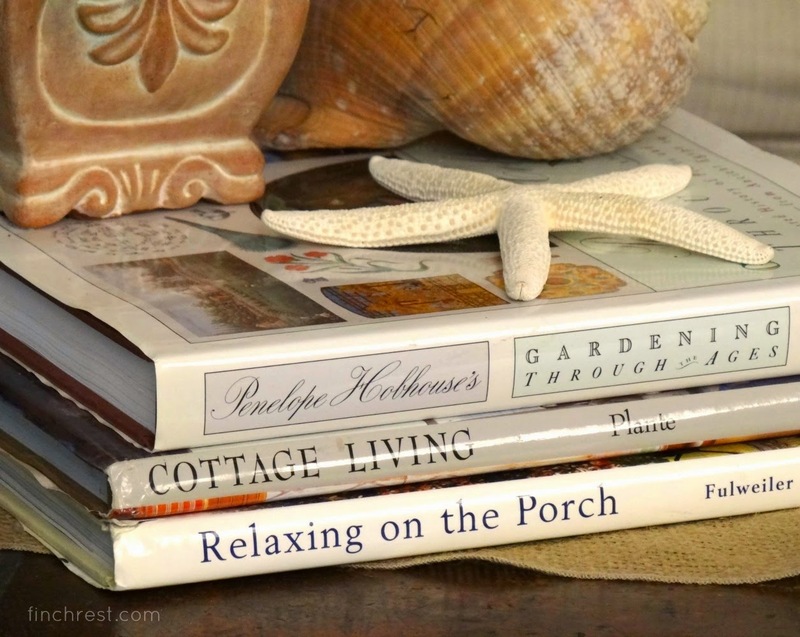 Michele from The Nest at Finch Rest gave us a tour of her gorgeous Summer living room. 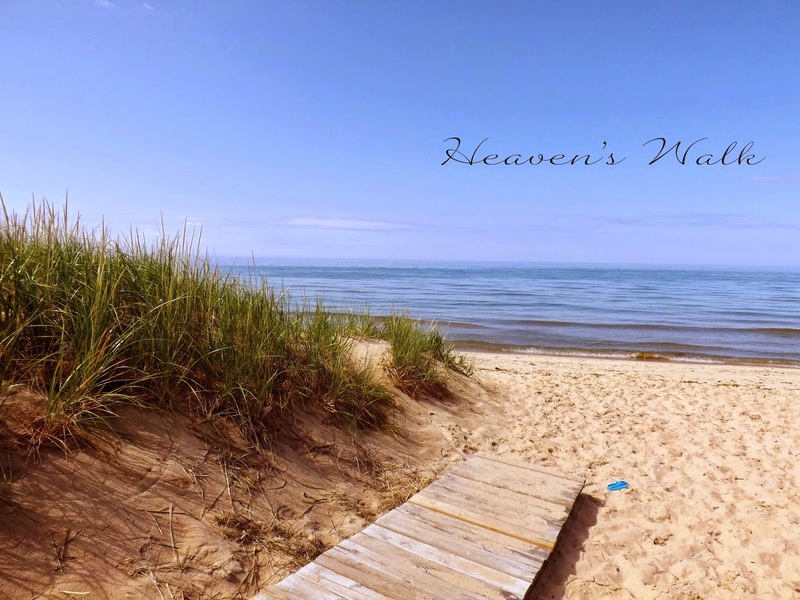 Laurie from Heaven's Walk took us back to her childhood and the place so close to her heart. Debbie from Debbie-Dabble used an old mailbox to create a beautiful addition to her garden. 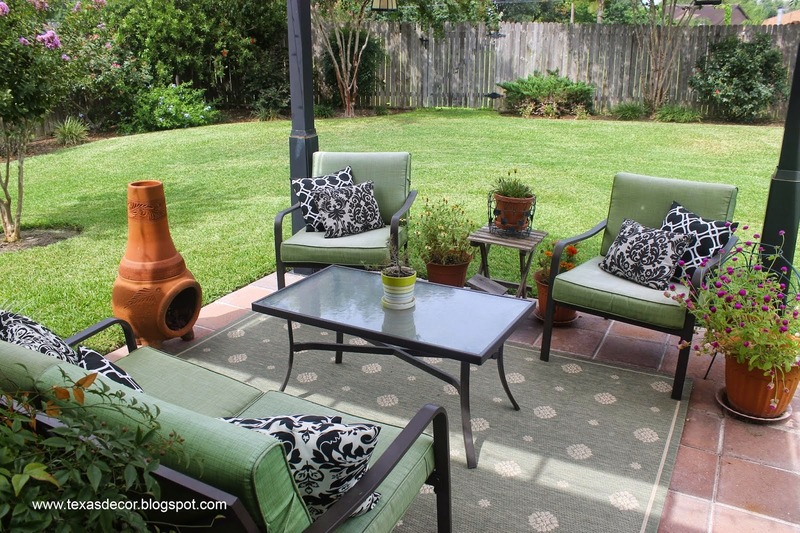 Lisa from Texas Decor gave us a tour of her gorgeous garden and outdoor space. So pretty! 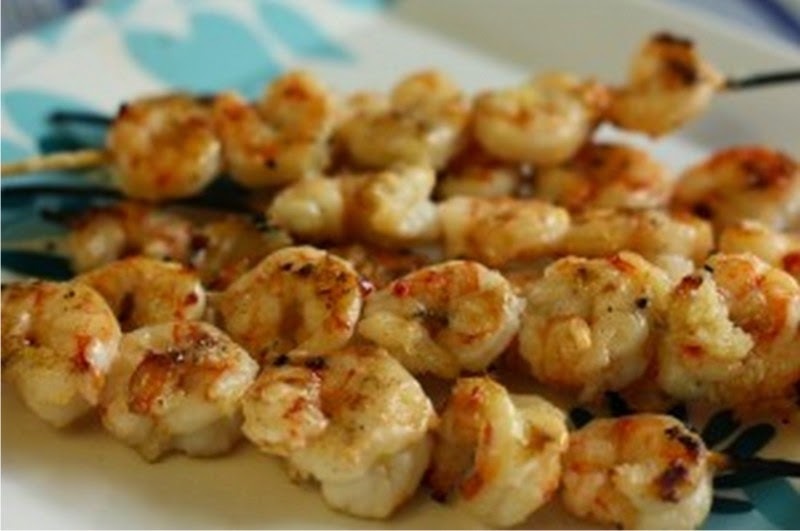 shared and very yummy recipe for grilled garlic shrimp skewers. 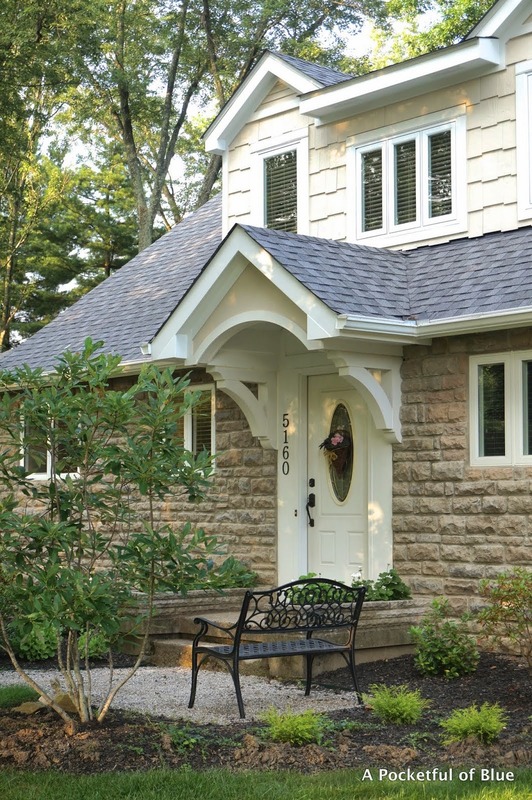 JoAnne from A Pocketful of Blue shared the beautiful renovation they gave to the front of their house. 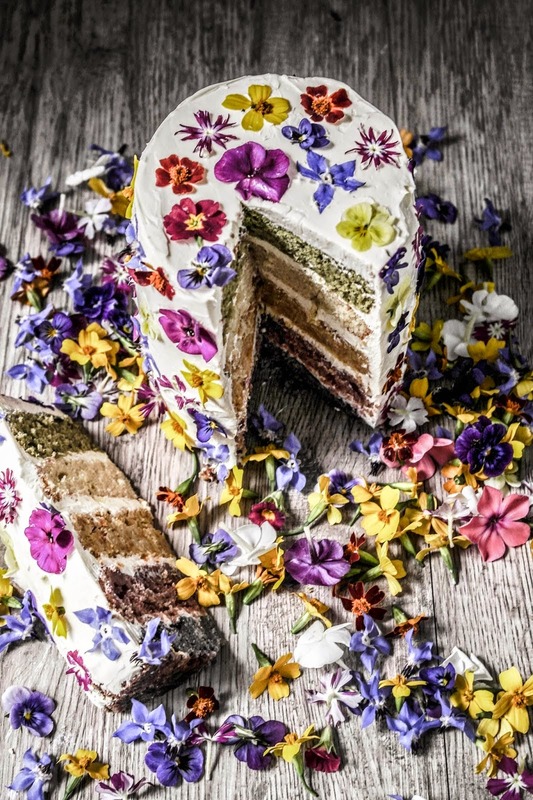 Aimee from Twig Studios created a gorgeous rainbow cake with edible flowers. She is so talented! 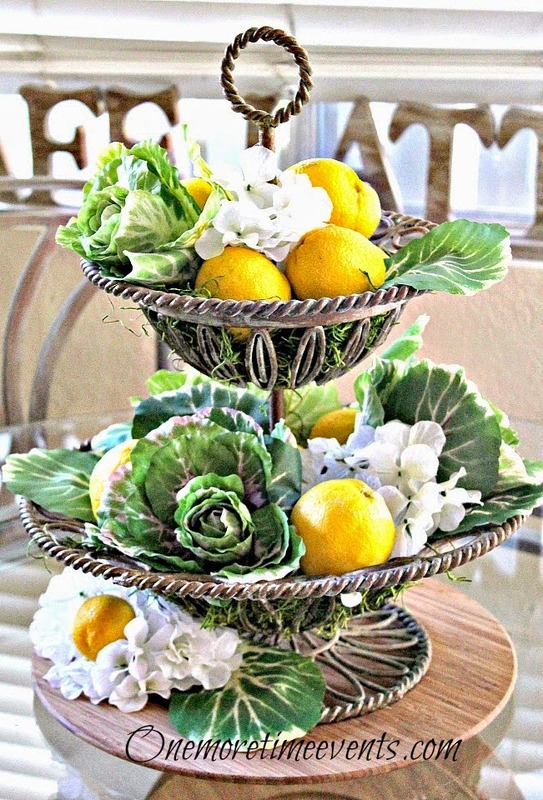 Tammy from One More Time Events shared how she is starting to decorate her home for Fall. And although there is no rules to join, I would love if you start following my blog. I am so happy to hear that your son and his bride are coming home! You'll be able to spoil them both for awhile before they get their new home! Congratulations to all on the upcoming arrival of the little one! First, Congrats on your first grand child!!! And on your son coming back home to live near you!! And THANKS so much for the feature!! What a surprise and honor!! I will be giving you a Shout Out in my next post and on Google+!! Thanks too for hosting every week!! Congratulations, Maria Elena!! What fantastic news! So very happy for you and your family; you are a such a bussssssssssssssssssy bee! OMG, Ma. Elena, how exciting you have a grandchild, Numero uno! Yes, and from now on baby will be No.1 in every sence!!! I'm so glad your son is coming home too. Very pretty features. As always, thank you for the wonderful party. You're going to love this post as I talk about the 'Sapniards' as is my very near background too, because my grandfather came from Santander, my dad's father. Congrats on becoming grandparents!! How exciting! I also wanted to thank you for featuring my backyard tour. It's always fun to join your parties! Hope you have a great week!! I am SO HAPPY for you and your family, Maria. First, for soon having your son home for good. That must feel absolutely fantastic! And then, topping it off with a new daughter in law and a grandchild! Life is good! Good evening, Maria Elena! 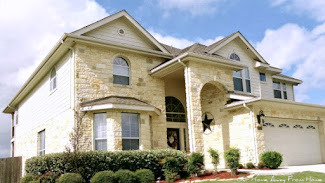 Thanks for hosting the blog party. I love the features, but that rainbow cake with the flowers on it is just spectacular! Have a wonderful week! Yay for a new grandbaby! I know you are so excited! Happy Party Day! Thanks for hosting and wishing you an awesome week! Congratulations Maria Elena!! Babies are wonderful! Thanks for the party! Have a super week! What a great party. Thanks so much for hosting. Maria, how exciting that you will be a grandmother soon! Take it from one, who has just had her grandchildren here with us for a few days, you will love the joy filled days! Beautiful features today! Thanks for a great party! Oh, that is such exciting news, Maria Elena! You are going to love being a grandparent -- it's a feeling like no other! Thanks so much for hosting, and now I need to go check out that Pinterest board! Thank you so much for the Feature.... Maria Elena!!! Congratulations!!! Congrats, Maria Elena! Exciting times in your home! The features are lovely! Thanks so much for hosting! Have a great week! Hi Marie ~ Congratulations on the news about your first grandchild! This will be such a special time in your life. Thank you so much for the feature also. It was a very nice surprise!